Aguilar Racing is excited to announce the addition of RiderzLaw as title sponsor for the remainder of the 2017 MotoAmerica season. The new alliance will be RiderzLaw/Aguilar Racing. 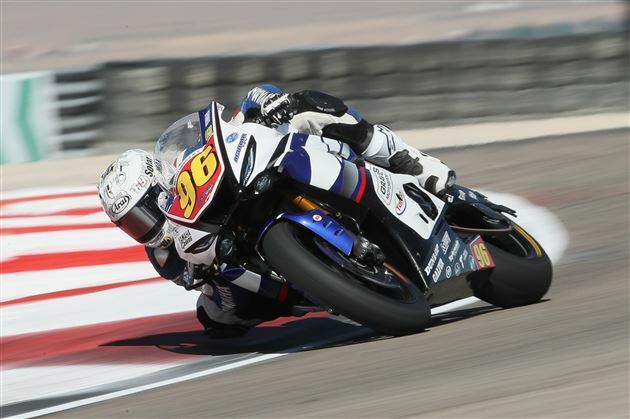 Following a double win at Utah Motorsports Campus last weekend, team owner/rider Jason Aguilar currently leads the MotoAmerica Superstock 600 Championship, heading into the two California rounds. MotoAmerica will share Mazda Raceway Laguna Seca with the FIM Superbike World Championship from July 7-9, then move to Sonoma Raceway for round seven of the series from August 11-13. Come on out to cheer on the RiderzLaw/Aguilar Racing team as they continue their quest for the MotoAmerica Superstock 600 Championship. RiderzLaw, the top motorcycle accident law firm in California, is actively involved in motorcycle racing in California, supporting racers at the club and professional levels. In addition to being the title sponsor for Aguilar Racing, RiderzLaw is the presenting sponsor for the KTM RC Cup for both California rounds, as well as the title sponsor for Superstock 600 wildcard riders Robert Pierce and John Knowles, and supporting sponsor for riders across the MotoAmerica classes, including Josh Herrin of Meen Motorsports. “We are proud to expand our support of American motorcycle racing by announcing our title sponsorship of Jason Aguilar for the remainder of the 2017 season. Jason represents the best in the sport, both on and off the track,” says attorney and RiderzLaw founder Sy Nazif.